EscapeMaker.com has teamed up with Heritage Radio Network to offer a great New York State craft beverage-themed vacation package for two people! 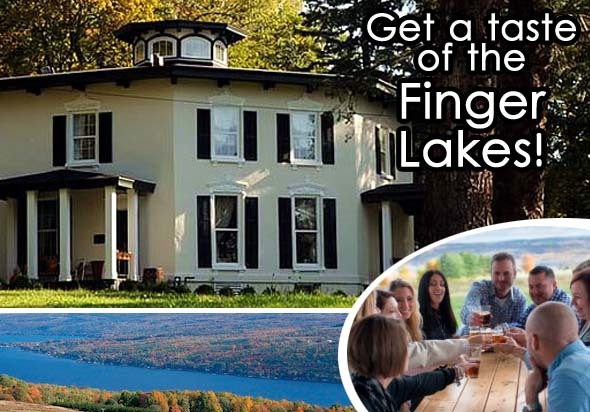 The Finger Lakes Region, located 4 hours from NYC, is known for its beauty, its wine, and now, its craft beverage trails! Home to more breweries, distilleries and cideries per capita than anywhere else in the nation, the region is perfect for a romantic getaway or a connoisseur’s tasting holiday with friends. Click here for the full package details!